Didn’t get enough of La La Land last year? You’re in luck. 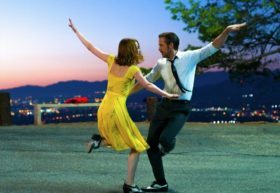 The film that would be best picture (before not being best picture) is taking its show on the road, and soon citizens of the City of Stars will be able to listen to “City of Stars” while sitting under a sky full of stars. The Hollywood Bowl will be hosting a live performance of the movie on May 26 and May 27, Memorial Day weekend. It’ll take “City of Stars” in the Hollywood Hills as a close second. The event is set to have a complete fireworks finale. Composer Justin Hurwitz will conduct the Oscar-winning score backed by a 100-piece orchestra, choir and jazz ensemble. The concert will premiere over the two nights here in L.A. before embarking on a tour.